The GMO contamination of Steve Marsh’s organic farm in Western Australia has received worldwide attention over the past month under the hash tag #IamSteveMarsh . The WA Supreme Court has started hearing the case today! Marsh, an organic farmer from Kojonup, south of Perth, lost organic certification for most of his farm when GM canola contaminated his crop. He is suing his farmer neighbour, Michael Baxter, in the Supreme Court. The day started with a continuation of establishing a timeline of facts including focus on critical facts including Mr Baxters decision to plant and swath GM canola knowing the risk to Mr Marsh’s certification. Mr Niall countered Ms Cahill’s assertion of NASAA’s unreasonableness (in decertifying Mr Marsh), by walking through specific sections of the NASAA standards and explaining that the NASAA standards based on labelling a product as certified organic, were not for a physical condition, but a quality management system that excludes farm management practises such as chemicals (and GM). It was presented that while in hindsite, good management allowed Mr Marsh to minimise volunteers, at the time of decertification, there was evidence of thousands of seeds and therefore an unacceptable risk that the farm was contaminated by GM when the standards disallowed GM, hence a “substantial systemic incursion”. Judge Kenneth Martin agreed that Mr Marsh was “blameless and faultless” in the incursion. Mr Niall continued his closing argument with particular attention to the detail required by Justice Kenneth Martin in order to establish a legal precedent. Using reference to specific judgements of past legal precedents Mr Niall provided both a platform of binding precedents where the court is bound by the decisions of past decisions made, and persuasive precedents where past decisions were made in courts outside the binding jurisdiction. In order to establish a claim in tort of negligence, the plaintiff must be able to establish: A duty of care is owed by the defendant based on the relationship between Mr Baxter and Mr Marsh; there is a breach of duty of care where the risk was foreseeable, that it was not insignificant, and that a reasonable person would have taken precautions; and, if actual damage or loss was suffered by the plaintiff, and caused by the defendant, with reference to whether the damage was a foreseeable consequence, and the scope of liability through tests of remoteness. Mr Niall argued that Mr Baxter owed a duty of care and, given the warnings by Mr Marsh, that economic loss was reasonably foreseeable. Duty related to the physical movement of seed was explored with relevance to vulnerability as Mr Marsh was unable to protect himself from the harm. Judge Martin explored further asking if the vulnerability arose out of the contract, and Mr Niall gave reference to a case involving potato blight presented by Ms Cahill for the defence. Mr Niall explained the similarities where judgement was made disregarding the fact that the farmer could grow an alternative crop and market to a less sensitive market. Mr Niall argued that the evidence established that there was no burden on Mr Baxter not to swath. He contended that Mr Baxter should have taken the precautions a reasonable person would have taken involving not planting in neighbouring paddocks, and not swathing. The legal principle of the causal connection of a third party, being NASAA, was explored with relevance for the “but for” test relating to the chain of causation and the defendant rather than the certifying body being held responsible. Mr Niall explained that in order to establish a claim in tort of nuisance which is the unreasonable interference with a persons use and enjoyment of their land: the nuisance must be substantial and unreasonable; and normally particular damage over and above what the normal public endures, but economic damage is not limited to special damage. The remedy requested was a permanent injunction to prevent Mr Baxter swathing in specific high risk paddocks. Mr Niall presented the argument that Mr Marsh did nothing wrong and the interference was unreasonable as Mr Baxter took no precautions to prevent the interference. Judge Kenneth Martin concluded the trial just before 3pm announcing he will reserve his decision until he has thoroughly reviewed the information provided. The closing argument for Michael Baxter’s defence was presented first by barrister Ms Cahill asserting that Mr Baxter owed no duty of care and actions were not “reckless, indifferent nor cavalier”. She argued that Steve Marsh did not grow canola, that the 5 metre buffer zone was extended due to the road between boundaries, that Mr Baxter told Mr Marsh of his intentions and Mr Marsh did not respond insisting Mr Baxter did not grow GM but instead moved his own cropping plan to manage the risk. Ms Cahill argued that Mr Marsh accepted the burden of NASAA’s actions and the blame lay with NASAA rather than Mr Baxter as NASAA would not accept a product that was legally approved. (note from Scott Kinnear – Organic standards do not accept many other legally approved products such as herbicides and pesticides). The defence of reasonable foreseeability was explored with the ability to achieve zero deemed as not achievable due to inevitable contamination. Ms Cahill asserted that the economic loss was not inevitable. The duty of care was further probed comparing a case of law causing economic loss rather than contractual obligations on the organic farmer. Mr Niall barrister for Mr Marsh started his closing argument at 3pm outlining the timeline of factual occurrences referring to evidence given. Implying negligence, duty of care, breach and causation were explored. On farm management was challenged with reference to lack of compliance with basic contractual recommendations designed by Monsanto. it was stated that Mr Baxter ought to have known that swathing canola on the boundary paddock was a risk to Mr Marsh’s farm and was previously advised the likely consequence was decertification. It was alleged Mr Baxter exhibited a lack of reasonable care as he did nothing to alter his practise nor advise his agronomist of the zero tolerance and threat to certification as discussed with Mr Marsh. The final day for cross- examination of witnesses for the defence revealed some interesting issues. Questioning a witness explores the detail behind the evidence provided in a witness statement. Without the witenss statement it is sometimes difficult to follow the questioning of witnesses in the transcripts that are now all online (link above). Dr Patrick Rudelsheim from Belgium was questioned regarding his paper on resistance management in Roundup Ready crops. Mr Rudelsheim agreed that glyphosate resistant weeds have been found in Australia and that this would be a serious threat to the agricultural industry unless integrated weed management was introduced. Monsanto addressed the concerns of the OGTR by implementing stringent resistance management plans prior to commercially releasing GM canola. The appropriate integrated weed management plans are an integral part of Monsanto’s crop management plans that farmers must follow. After exploring the history of Dr Rudelsheim focussing on his past work in regulatory and lobbying activities for the biotechnology industry, and his history for working for Bayer Cropscience, the opposition GM crop to Roundup Ready, Dr Rudelsheim answered that the principle of the coexistence plans was not as a workable principle but a strategy to introduce GM under the existing controversy. Digby Stretch, a farmer from Kojonup answered that he felt there were less farmers growing GM than non-GM and agreed only 17 farmers grew GM canola in the shire in 2010. Mr Stretch had grown a GM canola trial in 2010 and was required to contain it on the farm and decided to grow it away from the farm boundary. Mr Stretch explained that it was standard practise for farmers to check weather conditions before making a decision to spray boundary paddocks if the neighbour had crops that were sensitive or susceptible to the spray used. Mr Stretch stated that 50% of his paddocks had resistant issues and his paddocks had heavy weed burdens but he had not done resistance tests. There was acknowledgement that Mr Stretch was a PGA office holder in his district and PGA assisted in funding the court case for Mr Baxter. Christopher Robinson, Mr Baxters agronomist, explained that, while he was aware Mr Marsh was organic, he was not aware that organic standards required a zero tolerance, nor was he told of the threat to his organic certification. It was alleged that Mr Baxter had only said that Mr Marsh did not want him to grow GM. Mr Robinson advised Mr Baxter to follow the Monsanto stewardship guidelines which included letting neighbours know of his decision to grow GM. Mr Robinson told the court that if he did know of a zero tolerance to GM, he would have advised to be careful planting on the boundary and to be careful not to swath the canola. The decision to grow GM canola and to swath was scrutinised thoroughly. Professor Stephen Powles was the next witness called to provide more detail to his report submitted as evidence. He was questioned further regarding resistance issues and finished identifying a canola swath. Mr Slee’s report was identified as containing a number of significant issues. I suggest you read the transcript of the final day where he gave evidence. This completed the evidence on both sides and the court was adjourned until next Thursday to hear the closing debates. Prior to each witness giving evidence, the contents of the witness statements are discussed and comments deleted for reasons including, but not limited to: no factual backing; no underlying detail; an opinion rather than a fact; or too emotive. After a brief discussion regarding any issues in the witness statement, Dr Chris Preston was available via video link. Mr Preston confirmed that contamination could not be controlled in less than two years in normal farming practises. His research has shown that viable seed remained in the seedbank for 2.5 years but after 3.5 years, none was found. When asked about the extent of swaths found on Marsh’s property, he agreed that exposed to the elements, with varied wind speed and direction, it would be difficult to predict the location of contamination. Seeds would not only be situated in the resting place of the swaths but spread unevenly throughout. In order to measure basic seed distribution, over 150 core samples of soil will need to be taken. While there will be reduction of viability exposing the seed bank to the elements between December to April, many seeds would be protected by pasture. In order to control weeds in the crop, farmers look at weeds or seed heads from the previous year to have an idea of how many weeds will be expected the following year. Weeds are considered any plant that is out of place or not wanted and herbicide is a major weed management tool for conventional farmers. Mr Baxter returned to the stand. Although recommended to sow his Roundup Ready canola into a paddock with low weeds, he sowed into paddocks with medium weed burdens. Resistance management forms required to be completed before collecting seeds, were questioned as Mr Baxters concerns of resistance were not expressed on the forms. Mr Baxter felt the 5 metre buffer zone plus the road between Baxter’s and Marsh’s would be a sufficient buffer zone, and he communicated to Mr Marsh that he was growing GM. Mr Baxter stated that he skipped over the documents Mr Marsh sent him, he did not read them thoroughly. Evidence statements provided by the next witness, Digby Stretch (farmer), was discussed with numerous agreed deletions. The court adjourned before swearing in the witness. By Julie Newman – Today started with a link to India to interview Mr Ayachit, the certification officer at NASAA responsible for the national certifying officers. He explained what is normally considered by a certification officer, and what they are obliged to consider. Mr Ayachit provided similar evidence to previous witnesses for the plaintiff being that: NASAA follows NASAA standards, not the national standard; that under the standards there is no GM permitted on organic farms; that contamination was extensive; that decertification was a decision in reference to the standards; that Steve undertook rigorous management to eradicate GM contamination; that recertification was granted after consideration of management and risk. The next witness scheduled was Janine Morton but after removing part of her witness statement, no questions arose and the witness was excused. Jonathon Morton, the seed merchant that normally buys Steve’s seed was called to clarify his witness statement (exhibit 23). He explained his main business is exporting oats, and Steve supplies organic oats for a price premium. In order to supply organic oats for export, a certification from NASAA is required. Frederick Davis, a farmer and company manager for Stony Creek provided further statement that in order to sell as organic, the supplier is required to be certified as to sell certified produce without organic certification would be “fraudulent if not”. Michael Baxter (the defendant) then gave his evidence and was cross-examined by Mr Niall in the witness box this afternoon (his statement is tabled as exhibition 26B). His statement claiming he grew GM canola to address his weed resistance problem was examined by Mr Niall. Mr Baxter attributed his resistance to the group FOP’s and DIM’s. He applied glyphosate every year as a knockdown, but according to his crop management recommendations, had not applied FOP’s and DIM’s since 2005 except for a recommendation in 2008. Mr Baxter could not recall receiving a letter from Mr Marsh regarding the risk to his organic status, but did recall a visit by Steve when he bought over a non-GM canola plant to explain the potential for seed transfer. Mr Baxter stated he did take Mr Marsh’s concerns of potential decertification seriously, was aware that the organic industry had a zero tolerance, and was aware that a single plant could cause decertification. Mr Baxter said that he decided to grow GM after a recommendation from his agronomist, Chris Robinson. Mr Baxter said Robinson’s recommendation was that he grow Roundup Ready in 3 paddocks and conventional canola in 4, but he only planted Roundup Ready canola in 2 paddocks as he ran out of seed. When Mr Baxter attended an accreditation seminar for GM canola, he received the technology user agreement and the contract. The 2010 Crop Management Plan was provided at the seminar in Katanning, where Monsanto was in attendance. Mr Baxter understood that the integrity of the grains supply referred to GM and non-GM crops and that segregation of different production systems were considered as one important aspect and Mr Baxter agreed organics was one. The court adjourned and Mr Baxter will continue questioning tomorrow. After a full week in court, those attending had time to check media and public debate on the case over the weekend. There has been some wild reporting over the weekend (without being specific) that attributed the Judge’s view on some aspects of the case. As a listener in court I am unable to agree with some of these assertions and the Judge appears to me to have reserved his opinion. National standards refer to no GM permitted in the end product for export, while the NASAA standards are the operational standards referring to the zero tolerance of GM on the farm, reasoning that the farm needs to be free of GM in order to produce a GM-free product. 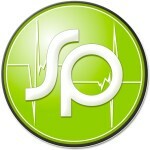 This is a risk based quality assurance system of certification. AQIS endorsed the NASAA standards as consistent with the national standards, and the organic certifier applied the NASAA rules in her decision. The morning involved Baxter’s counsel continuing to cross-examine Stephanie Goldfinch, the manager responsible for the decision to decertify Steve Marsh’s farm. Issues centred around sanctions imposed by suspension and the decision to decertify once the test confirmed GM content. Paddock 11 created particular attention in both the auditors report and Ms Goldfinch’s decision. Ms Goldfinch maintained that due to the extent of contamination and the non-compliance of the NASAA conditions, the decision was appropriate. Jan Denham, chair of NASAA followed in the witness box and explained the intent of the standards and confirmed that no GM contamination was accepted on the farm, or grazed by sheep, or in crop. Similar ground was covered as the questioning of Ms Goldfinch with particular focus on the decision to recertify Steve’s property. For those attending as onlookers at court, it is difficult to report on cross examination as the key evidence is in the statements that is only revealed to accredited media and the lawyers involved in the case. Accordingly I recommend readers view these reports with the transcripts and statements as they become public. However, as someone involved in the debate over the last decade, I was reassured that those called to evidence confirm the basic debate for non-GM farmers. While I was unable to get legal advice regarding this blog, I will continue to give an indication of what I experienced as an inexperienced onlooker. Fridays discussions included the difference between national standard and NASAA standards, agronomics and economics of GM canola, swathing and the necessary steps to segregate GM and non-GM canola. Professor Van Acker from Guelph in Canada was called to evidence via electronic media and discussed a peer reviewed report on GM canola. Although he was not prepared to answer questions relating to the debate amongst his peers regarding health issues, he discussed management of unwanted volunteer canola. In my opinion, he explained that GM canola will spread to neighbouring farms and the more onerous the demand for GM-free, the more difficult it is to comply. GM canola has been released for over a decade in Canada and no organic canola is currently grown in Canada. Stephanie Goldfinch from South Australia was the next witness as a consultant to the Organic industry. Basically, she explained how the audit standards are based on the NASAA standards as AQIS deemed the NASAA standards to be compliant with the National Standards. The NASAA standards explain that there is a zero tolerance of GM produce on the farm and that decertification for a term of either 3-5 years of decertification was the appropriate penalty. Further questioning covered both the auditor and manager responsible for Steve Marsh’s decertification. By Julie Newman – Being a first time court attendee, I have gained a huge respect for the law industry in the last week. Compliance with stringent rules has ensured that a thorough teasing out of issues both for and against creates the basis for establishing the facts in order to decide the law. The morning started with barrister Richard Niall representing Steve Marsh elaborating on the moratorium in Tasmania and the development of GM-free standards in order to meet the market requirement of zero tolerance. Evidence in potentiality and secondary evidence will be included regarding zero tolerance. The first witness was Andrew Bishop, a Tasmanian government public servant involved in monitoring the cleanup and eradication of GM canola trials in Tasmania. Despite the requirement for careful monitoring and cultivation of 2 periods over 2 years in ideal conditions to promote germination of unwanted volunteers, only 4 of the 57 sites have been cleared to satisfy clearance standards of the site. Andrew presented his facts extremely well and we were left in no doubt that only one GM plant is a concern in trial monitoring and it takes years to clear a site of volunteer GM left after trials. The next witness, agronomist Peter MacInerney addressed the proposition that GM Roundup Ready canola was the only way to control ryegrass. Peter expressed concern about resistance to glyphosate or Roundup with the use of GM canola, and argued that there was no evidence of additional profits in the GRDC trials. Dianne Gaul appeared as the next witness and was the NASAA Certification Officer involved in Steve’s decertification. She explained the processes that led to his decertification. Dianne’s evidence will continue tomorrow. As an onlooker, it appeared that the barrister could not understand why Steve accepted NASAA’s cautious approach not to immediately reinstate certification when Steve had made every effort removing it. Steve accepted that NASAA knew best and, although he tried to hurry the process of recertification, did not interfere in the process. It seemed unexpected by Baxter’s barrister that NASSAWA was not part of NASAA, but was a network of NASAA certified farmers when it was revealed that NASSAWA had financially supported Steve in his case. Rather than this being the certifying body, this was in fact the farmers that were facing the same risk that Steve faced with contamination of GM canola from neighbours. You may ask what there was to discuss for more than a day as it seems an extraordinarily long time to be in a witness box. Questions teased out detail as finite as how many seeds were expected to be in a swath found in a boundary fence, to his opinions to responses he received, or his intentions when responding or instigating every stage in the cleanup process. Steve explained the extraordinary effort he took in order to control the GM contamination including: fencing swaths in the hope of removing soil laden seed in the future; monitor and removing volunteers, careful monitoring of paddocks; and, topping of pastures to remove possible volunteers. These all contributed to the fact that Steve could regain certification as soon as possible. The day concluded with Steve responding to his own barrister that there is a difference between handling a GM or non-GM canola contaminant, that there was genuine concern for the impact of seed distribution on his farm rather than pollen (he does not grow organic canola), and that decertification was always considered a result of contamination. By Julie Newman – Steve Marsh was to be witness today and being so shy was understandably very nervous about it but prepared. Unfortunately Baxters team lodged objection to a number of items in the witness statement to be published. As Marsh’s team had not had time to read the objections in the hour between lodging the objection and court, a brief break was given followed by a systematic review of objections. Most comments were allowed to stand but the delay meant Steve did not give his statement till 2.15pm. After Steve took the stand, various photos and letters were explained, and he gave detailed information about his contamination and how he dealt with it. From 3pm, the defence systematically narrowed the focus to how Steve felt toward GM, contamination of his organic property with non-GM and GM, the inevitability of GM contamination, zero tolerance and influence of NASAA on his risk management. It was obviously very difficult for Steve, and when you look around the court at a persistent barrister, the judge, a dozen busy lawyers buried in mountains of paperwork, a media stand and the public gallery, it is no wonder Steve got very nervous trying to recollect specific events, phonecalls and feelings from 5 years ago. Everybody appeared to be uncomfortable about the pauses and obvious difficulty he was having and it was a relief to finally adjourn for the day. I left the court room feeling terribly angry with the government for leaving unresolved liability up to farmers to fight in court. Tomorrow court will be 10.15am in Room 14.1 for better acoustics. We learned this morning that Steve has had his certification reinstated. This is great news because Steve can begin earning his premium organic income again. We also learnt that Michael Baxter, Steve’s neighbour, planted GM canola in two paddocks and conventional canola in four paddocks. Michael Baxter planted the GM canola in the two paddocks that adjoin Steve’s farm. We also learned that Michael Baxter direct headed the four conventional canola paddocks and mowed and windrowed (swathed) the GM canola. The proximity to Steve’s farm and the windrowing of the GM canola is argued to have caused the GM contamination of Steve’s farm. Presumably Michael Baxter could have direct headed the GM canola and could have chosen more distant paddocks to grow the GM canola in for the first time. Steve’s barrister also told us that hundreds of GM canola plants containing thousands of seeds blew on to Steve’s farm. The barrister Richard Niall SC maintained that the National Association of Sustainable Agriculture (NASAA) had no choice but to remove Steve’s certification on 70% of the land due to the extent of the contamination. From Julie Newman late at night – It has been known for over a decade that, if GM is released, contamination is inevitable and economic loss will be caused. While the GM industry expects the non-GM farmer to accept economic loss, Steve Marsh is the first non-GM farmer to claim compensation for the losses caused. Unfortunately compensation can not be claimed from the multinational patent owner Monsanto, as GM farmers accept all liability on behalf of Monsanto as part of the contract signed in order to grow GM seed. The legal case Marsh versus Baxter involves contamination caused by Baxters GM canola that caused decertification by NASAA (certifying body for organics) resulting in economic loss. It can be argued that this case is about who’s responsibility is it to prevent contamination, is the GM farmer responsible for keeping GM contained, or is it up to the non-GM farmer to try to prevent GM entering their farm? Is it fair that the non-GM farmer should be liable for economic loss, or should this loss be compensated by the GM farmer? In order to establish the common law remedy recommended by State governments as a remedy for expected economic loss caused by contamination, Tort law is applicable. This case involves both negligence and nuisance. Negligence requires the injured party to establish, on the balance of probabilities, that the defendant owed them a duty of care, they breached that duty of care and they suffered actual loss. Nuisance involves causing unreasonable damage of a plaintiffs enjoyment of his land. Finally the court case is ready to start today. The debate started in the waiting room as the public debated the expected for and against cases in the case but came to the agreement that it was a relief that this debate will finally be decided in court. The court room filled in no time and some were turned away. The morning was dedicated to present Marsh’s case. After preliminaries, it was argued by barrister Richard Niall SC appearing for Mr Marsh, that Baxter owed Marsh a duty of care as the canola material should have been contained. Steve and Sue Marsh farm an organic farm called eagle rest, while next door Baxters farm conventionally and planted their first GM canola crop in 2010, the first growing season after lifting the moratorium. It was explained that Steve had contacted Baxters to advise them that due to potential risk to organic status, Baxters needed to ensure they contained their crop as they would ultimately be liable for losses. This was ignored and Baxters not only planted GM canola along the boundary, but they swathed it the first year which increases the risk of contamination as swathing involves cutting it early and the light seed laden branches of dry in the sun and wind causing it to be easily lifted long distances with a strong wind. It was noted that this was the first time that Baxter’s had ever swathed their canola and they did not swath their non-GM canola grown in the same year. Marsh’s tried to prevent Baxters decision impacting on their produce and did not plant crop near the boundaries bordering the GM canola. Winds blew hundreds of plants, each carrying thousands of seeds over to Marsh’. They followed the criteria dictated by the NASAA organic certification and reported the rogue GM canola plants, but this led to decertification as there is a zero tolerance of GM in organics. Marsh’s and made every effort to control the contamination and, after 3 years, they regained certification. Marsh’s barrister argued that the organic standard is a systems based contractual demand following international regulation process and that the integrity of the system is crucial to markets. 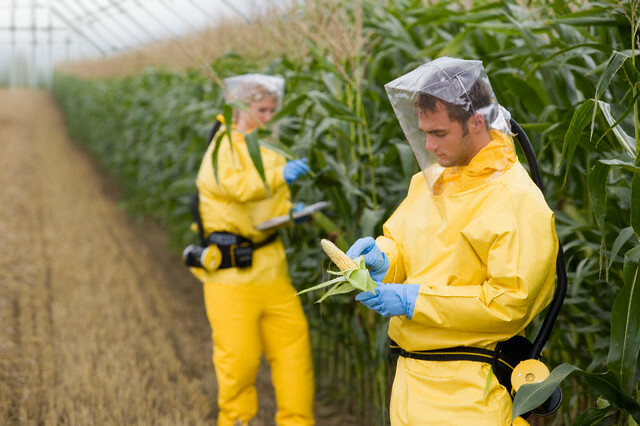 Genetically modified crops are considered a system contaminant of a non-compatible contaminant. As the GM plants had been uncontrollably released into Marsh’s pasture, this was not permitted. If Mr Baxter had followed the warnings received by Marsh, the stewardship protocols applicable to this seed, and the government and industry links, more care would have been taken. The economic loss occurred because of loss of certification and a direct result of the contamination. The combination of elements of: foreseeability pertaining to knowing contamination would occur and knowing organic status was at risk, vulnerability noting that Marsh had no control over the area or method but took all steps he could to prevent the risk. Organics was the pre-existing state of practise with GM being the newcomer to the industry and Baxter planted and harvested without consideration for Marsh. The existence of organic standards is essential for export and is lawfully required to export. Therefore it was argued that Baxter owed a duty of care, that the duty of care was breached, and economic loss occurred because of the breach of duty of care. After a break, Baxters defence was presented by barrister Patricia Cahill SC, however almost everyone in the public and media gallery made comment that it was difficult or impossible to hear. Not only was the barrister softly spoken but she constantly referred to organic standards as page/clause referencing and not relaying full detail to those not holding the relevant cross-referenced documents. In summary, the key debate was based around the NASAA standard being more stringent than the legal requirement of the export standard. It was argued that GM should not be considered a contaminant as such and that GM content was not in the end product sold. Using this logic, Baxters barrister argued that there was no requirement for decertification as NASAA’s standard was inconsistent with national standards by being more onerous insisting on higher sensitivity than required. The reason is that the zero tolerance was considered unreasonable, the contamination was in the process and not the end product and the farmer did not breach by act or emission. It was also argued that Baxter conformed to the protocol promoted by the industry. Daily Updates will Continue Here so bookmark this page. That really makes me angry that they are going to argue the organic standards are too high and that Baxter just did what industry promotes. Sure he did, Monsanto probably advised him directly on what to do, knowing well enough that Steve would end up contaminated. Just like that Chilean farmer who sued Monsanto – he was advised by Monsanto to spray his neighbours non-GMO corn with Roundup. Monsanto probably advised the Baxters directly on which corn to plant where and how close. This company will stop at nothing. Let’s hope this court case is in favour of Steve Marsh and that we have more just like them in the future. I wish Steve all the best and loads of luck. I also wish that Monsanto gets sued left, right and sideways. They have no place in a modern sustainable and responsible world. The unfairness of this case is that the GM seed which blew over Steve’s fence remains Monsanto’s property. GM canola contamination is inevitable so the company’s GM seed sales contract transfers liability onto the GM grower! Suing the GM grower for the costs, harm and losses of GM damage is Steve’s only remedy – wrecking old friendships & it may cost the loser his farm. Farmer Protection laws could safeguard all non-GM landholders by establishing a publicly-managed fund, created from levies on all GM seed sales. Making the GM industry pay for its negative impacts through this levy is only fair. Automatic compensation payouts would then be made, for all proven harm from GM contamination. Thus, both GM & non-GM growers would be safeguarded. GM companies & governments used to claim segregation could prevent GM contamination. But now that GM contamination of organics (and also conventional farms) has occurred, they blame the organics industry for its strict GM-free standard. The purity & integrity of organic foods must be protected, as organic shoppers expect. Wishing you the best Steve. Someone has to make a stand against the insidious practices that are being wages upon non GM farmers around the globe and not just in this country. Absolutely disgusting that it pits Australian farmers against each other and wven more disgusting that Monsanto owns the patent of a seed that spreads and germinates elsewhere and they deny those from using those seeds even if they wanted to. Stay strong and if you need to organise a fighting fund just put the word out as many people are disgusted by these practices. Social media will get the message out. i cannot fathom why you think that a organic marketing standard has some jurisdiction in dictating what another farmer can grow. Nobody minds what anybody else grows on their farm unless it adversely affects them. Contamination will occur, market loss is real, economic loss will occur but who should pay for it? Should it be the non-GM farmer who warned of the potential for economic loss, or should it be the GM farmer who planted a GM crop with no regard to others around them? In my opinion it should not be either. If the GM patent holder was liable under a strict liability regime and insurance policy, there would not be a problem but the government denied it. A reminder of what I have spent more than a decade explaining in talks around Australia… There is a zero tolerance of GM in conventional farming. All farmers delivering to CBH (our main storage and handler in WA) agree to terms and conditions of grain delivery that there are NO GM seeds in produce delivered = Zero tolerance. I am sure this case will expose some serious problems that were not addressed. the only problems here is the dogmatic controls of organic marketing certifications thinking for some reason they have a jurisdiction in dictating what is used on another farm, steve marsh already lost organic certification for having drenched sheep on his property, this was brought up in the courts but I see you failed to mention that in your blog posts, funny that, so why is he not suing those responsible for this and demonizing the use of worming drenches? We would appreciate you keeping your PAID opinion to yourself. The only people that come on these web pages and leave comments like yours are people paid to leave messages that promote big corporations. Everyone else that visits this website does so because they are TRULY concerned about what YOUR employee has done to our food supply. YOU. DO. NOT. FOOL US! Mr Marsh is claiming $85,000 in lost earnings after National Association for Sustainable Agriculture Australia withdrew the organic status on more than 70 per cent of his property in 2010. Counsel for the plaintiff, Slater and Gordon lawyer Richard Niall, told the court Mr Marsh’s financial losses were made up of $20,000 in 2010-11 and $32,500 in the two subsequent years. 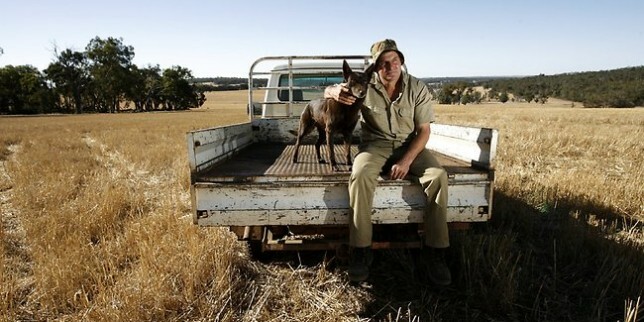 The first day of the case, which started in WA’s Supreme Court last week, heard Mr Marsh’s organic status had been reinstated by NASAA in November 2013. But under cross examination by defendant’s legal counsel, Patricia Cahill of Bradley Bayley Legal, Mr Marsh said he never appealed the decision by NASAA to withdraw his accreditation in December 2010. And Mr Marsh admitted he didn’t attempt to reinstate his organic certification until last year despite being offered the chance to do so by NASAA about 12 months prior. The court was told canola swathes, allegedly from Mr Baxter’s Roundup Ready crop, was found in four of Mr Marsh’s paddocks, while three paddocks had no GM material. And since April 2011, Mr Marsh had found a total of nine volunteer GM canola plants on his property. The sad thing is that only organic farmers have a chance to file and win for gmo contamination. The non-gmo producer has not recourse because there is not the regulatory bodies that have standards that must be met. Good luck Steve, hope you win big time for all farmers around the world. To the anonymous poster… why not? that’s exactly what Monsanto has done. they wait for their disgusting GM seeds to infest another Non GM farm, and then sue the Non GM farmer for illegally using their product. They KNOW that contamination will occur, and they wait for it. Then they sue. so, quite frankly, you are either utterly ignorant, or you are a paid blogger, your opinion bought and paid for by a corporation. So, you’re soulless or ignorant. Which is it? you are the one who is utterly ignorant, there is no legal case at all for unwanted or unknown patent infringement. the court heard from National Association for Sustainable Agriculture Australia (NASAA) certification manager Sachin Ayachit, via video link from India. Mr Ayachit joined NASAA in August 2012 and acknowledged that he soon learnt from a series of inspection reports that Mr Marsh was “fully compliant” after his organic certification status was suspended in December 2010. Residue sampling taken during an annual inspection of Mr Marsh’s property in October 2012 further reconfirmed that there were no volunteer GM canola plants on Mr Marsh’s property. Despite two reviewers being involved in this inspection and input from the Organic Advisory Board (OAB), Mr Marsh was not re-certified. Mr Ayachit said he thought three years was a suitable period before recertification was granted, particular seeing the contamination was extensive. The court also heard that when NASAA made the decision to re-certify Mr Marsh, nobody within the organisation actually informed him. There is now conjecture in the court over how long the delay was between the decision to re-certify Mr Marsh and NASAA notifying him of the fact. Mr Baxter’s lawyer Patricia Cahill, Bradley Bayley Legal, asked Mr Ayachit if NASAA had communicated in the usual format/correspondence about the re-certification, to which he replied that he didn’t recall. “The decision should have been communicated after the recommendation was made,” Ms Cahill said.